The glamorous fit-and-flare silhouette amplifies curves for a sultry result. 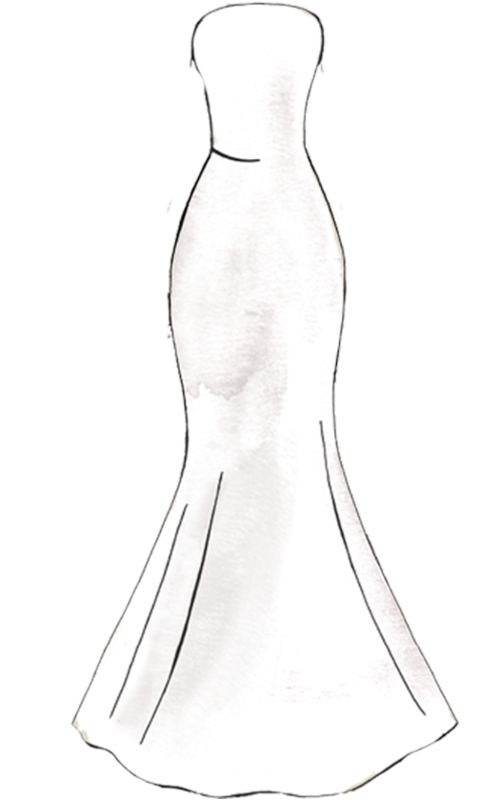 The mermaid (or trumpet) is a sophisticated look for brides who crave a little drama. The skirt’s trademark flare can be narrow or wide, sleek or ruffled—and each gives your dress a different twist. Brides with curves love mermaid gowns, but this silhouette maximizes the va-va-voom effect on straighter figures, too.